Kurman clients are presenting a variety of exciting Wine and Beer Dinners this November! Whether you prefer a delicious Cabernet, local craft beers, or the opportunity to taste wines from some the best American vineyards, there is an event available for every palate in November. The five-course meal will be expertly prepared by Francesca’s chefs and is paired exquisitely with six select wines. The dinner is $65 per person, excluding tax and gratuity. Reservations are required. The “Cabernet is King” Dinner begins with Crostini with Smoked Salmon, crème fresh, Arugula and Apricots, paired with a refreshing 2010 Hall Sauvignon Blanc Napa Valley. This is followed by Braised Pork Cheeks Ragout over creamy white Polenta, which complements 2008 Stags Leap Hands of Time, Stags Leap AVA. The third course is Handmade Veal Ravioli with roasted shiitake mushrooms, veal au jus and parmigiano reggiano. This is paired with 2008 Antinori Antica, Atlas Peak AVA. The fourth course features Cast Iron Black Angus Rib Eye with Porcini flavor and roasted fall vegetables in a Cabernet reduction, which is a delicious pair for both 2007 Minor, Stagecoach Vineyard and 2008 Chappelett Signature, Oakville, Pritchard Hill. Dessert will be an Assortment of Chocolate Truffles, pairing perfectly with a 2008 Viader “Dare,” Napa Valley. Lisa Mango, Francesca’s Sommelier, will be in attendance at Francesca’s Vicinato November 11 to speak about the wine selection and how they pair with Francesca’s menu. 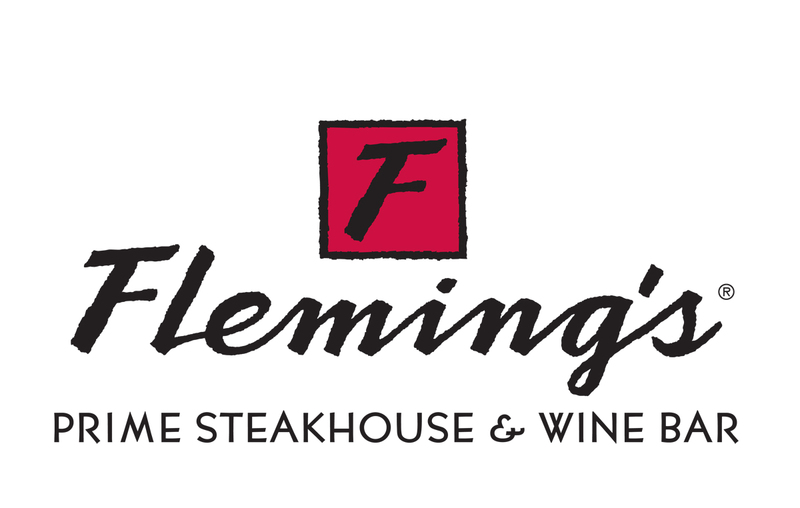 Fleming’s Prime Steakhouse & Wine Bar in Chicago is hosting a wine dinner featuring wines from MacMurray Ranch with Kate MacMurray, vineyard owner, 6:30 p.m., Friday, November 11. MacMurray will share her passion for winemaking and the tradition of excellence her family’s vineyard is known for among Fleming’s diners. Fleming’s Chicago chef partner Jerl Griffin has worked with MacMurray to create the perfect food and wine pairings for this meal. The first course features Shrimp Skewers and Fennel with an Orange & Avocado Salad, accompanied by MacMurray Ranch’s Silverado “Miller Ranch” Sauvignon Blanc, Yountville, Napa, 2009. This is followed by a chilled Cream of Wild Mushroom Soup finished with White Truffle Oil and the Silverado Estate Chardonnay, Napa County, 2009. The main course is Roasted Châteaubriand with Black Truffle Butter, Mashed Green Market Potatoes and Madeira Sauce,that is exquisitely paired with Silverado Estate Merlot, Napa Valley, 2006, from MacMurray Ranch. Dessert is a delightful Pumpkin Cheesecake with Candied Walnuts and Chantilly Cream, served with Silverado Estate Cabernet, Napa Valley, 2007. The dinner is $99, not including tax and gratuity. Reservations for the MacMurray Ranch Wine Dinner at Fleming’s are required and may be made by calling (312) 329-9463. Fleming’s PrimeSteakhouse & Wine Bar in Lincolnshire is hosting a Duckhorn Vineyards Wine Dinner with A.J. Freeman from Duckhorn Vineyards, 7 p.m., Friday, November 11. The fine selection of Napa Valley wines pair elegantly with Fleming’s food selections. Fleming’s chef partner Roger Abuan and Freeman have worked together to showcase the best of food and wine for the dinner. The adventure starts with Seared Scallops with Meyer Lemon Vinaigrette over micro greens paired with Migration by Duckhorn’s Chardonnay Russian River Valley, 2009. This is followed by a Tuna Carpaccio with crispy capers, red onions and baby greens drizzled with Dijon vinaigrette with Migration by Duckhorn’s Pinot Noir Anderson Valley, 2008. The third course is Ginger Glazed Duck Breast with sweet potato stuffed herb crepe served with Duckhorn’s Merlot Napa Valley, 2008. The final course is a six ounce New York Strip with a shallot, red wine and port reduction, topped with truffle butter and accompanied by roasted seasonal vegetables with a Cabernet Napa Valley, 2009, followed by a dessert of assorted truffles and coffee. The all-inclusive dinner is $100 and includes paired wines with four delicious courses and dessert. Reservations for the Duckhorn Vineyards Wine Dinner at Fleming’s are required and may be made by calling (847) 793-0333. Francesca’s Bryn Mawr is hosting a Wine Dinner featuring Greg Gauthier of Gauthier Cellars and Bouchaine Vineyards. The five-course meal features some of Gauthier’s favorite wines paired with classics from the Francesca’s menu. The dinner is $55 per person, excluding tax and gratuity. Gauthier will be on-site discussing the wines paired with the menu and speaking about his wineries. Reservations are required. The meal will begin with Crostini with Smoked Salmon, crème fresh, Arugula and Apricots, paired with Sauvignon Blanc. This will be followed by Braised Pork Cheeks Ragout over white creamy Polenta with an exquisite Chardonnay. The third course will feature Handmade Veal-Filled Ravioli with roasted shiitake mushrooms, veal jus and parmesan. This makes an excellent pair for one of Gauthier’s favorite Pinot Noir blends. The fourth course will feature Cast Iron Black Angus Rib Eye with Porcini flavor and roasted fall vegetables in a Cabernet reduction with a different Pinot Noir blend. Dessert will feature an Assortment of Chocolate Truffles with Bouchon D'or. Francesca’s Vicinato will also host the Goose Island Beer Dinner, featuring some of Goose Island’s best beers. The five-course dinner is $45 per person, excluding tax and gratuity. Reservations are required. The Vicinato Goose Island Beer Dinner begins with Assorted Crostini’s, paired with Goose Island’s 312, followed by a salad of Boston Bib Lettuce with Raspberry Vinaigrette, crumbled gorgonzola and caramelized walnuts. The salad is paired with Fleur, a rose-colored Belgian style pale ale. The third course is Francesca’s Homemade Butternut Squash Cappellacci with fresh sage and brown butter veal au jus, topped with shaved parmesan, which is superbly paired with Goose Island’s Christmas Ale, a special-edition brown ale that differs slightly each year. The fourth course will feature Goose Island’s Harvest Ale with Braised Veal Shank with natural au jus over saffron risotto and fall vegetables. Dessert is Triple Chocolate Cake, which makes the perfect partner for Bourbon Country Coffee Cake Ale, made with local Intelligentsia coffee. Francesca’s on 95th will present a wine dinner with an assortment of delicious wines and selections from Francesca’s menu. Tickets are $40 per person, excluding tax and gratuity. Reservations are required for this five-course meal. The meal will start with Crostini with Smoked Salmon, crème fresh, arugula and apricots paired with NV La Marca Prosecco. This is followed by Grilled Jumbo Shrimp with roasted asparagus and citrus buerre blanc and a 2010 Michele Chiarlo Gavi. The third course will be Handmade Veal-Filled Ravioli with roasted shiitake mushrooms, veal au jus and parmigiano, which is a great partner for a 2009 Vicchiomaggio “San Jacopo” Chianti Classico. Veal Stew with mushrooms and cipollini onions, served on a creamy polenta is the fourth course. It will be served with 2008 Tor Calvano Vino Nobile. This is followed by a dessert of an Assortment of Chocolate Truffles with a 2009 Louis Martini Cabernet Sauvignon. Francesca’s Amici will present a wine dinner featuring Palm Bay Wines. Tickets are $58 per person, excluding tax and gratuity. Reservations are required. The meal begins with Baby Spinach tossed in orange vinaigrette with teardrop tomatoes, fennel, grapefruit and lobster paired with Palm Bay’s 2010 Bottega Vinaia Pinot Grigio, Trentino. This is followed by an Assortment of Meats, Cheeses and Fresh Seasonal Fruit, which is the perfect pairing for 2010 Planet La Segreta Bianco, Sicily. The third course will be Homemade Pumpkin and Ricotta-Filled Pasta with crispy pancetta, savoy cabbage and fresh tomatoes in a brown butter-sage sauce topped with shaved parmesan cheese. The 2008 Fonterutoli Chianti Classico, Tuscany is an excellent complement to the pasta. The fourth course will be Veal Shank braised with carrots, celery and onion served with saffron risotto paired with 2007 Col D’Orcia Rosso di Montelcino, Tuscany. Dessert will feature Chocolate-Espresso Semi-Frozen Mousse with Ferrari Brut Rose, Trentino. Francesca’s Fiore will host a Dalmatian Coast Wine Dinner celebrating the wines of Croatia. This dinner will be $65 per person, excluding tax and gratuity. Reservations are required. The Dalmatian Coast Wine Dinner will start with Poached Wild Salmon finished in a Dill Cream Sauce paired with Matosevic “Alba” Malvazia, Croatia 2009. The second course will be Polenta Crusted Sea Scallops in lemon balsamic buerre blanc, which is a great pair for St. Hills “Nevina” Chardonnay/Malvazia, Croatia 2009. This is followed by Pork Ragout served over homemade pappardelle with Shaved parmigiano paired with Bibich “R6” Riserva, Croatia 2008. The fourth course will be Braised Petite Lamb Shank in Plavac reduction sauce, which is a delightful companion for Korta Katarina, Plavac (Zinfandel), Croatia 2006. Dessert will be Molten Lava Cake with fresh berries and raspberry sauce with Milat, Porto-Zin, Napa 2007.